Moskowitz Bayse is pleased to present Hawaii, an exhibition of new works by Los Angeles-based artist Kim Schoen. The occasion marks the artist’s first solo exhibition with the gallery. 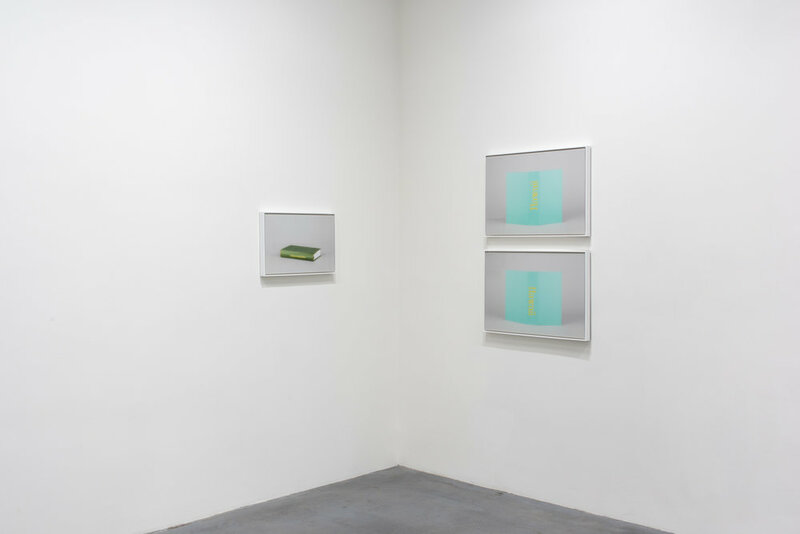 Kim Schoen’s work in photography, video, installation, text, and performance experiments with the rhetoric of display. The blank repetition of consumer culture often collides with literary influences, exploring the malleability of speech, its translation into images and texts, and back again. In Hawaii, Schoen turns her attention toward a series of book blanks. She first discovered the objects in a happenstance encounter at a furniture store in London in 2009. 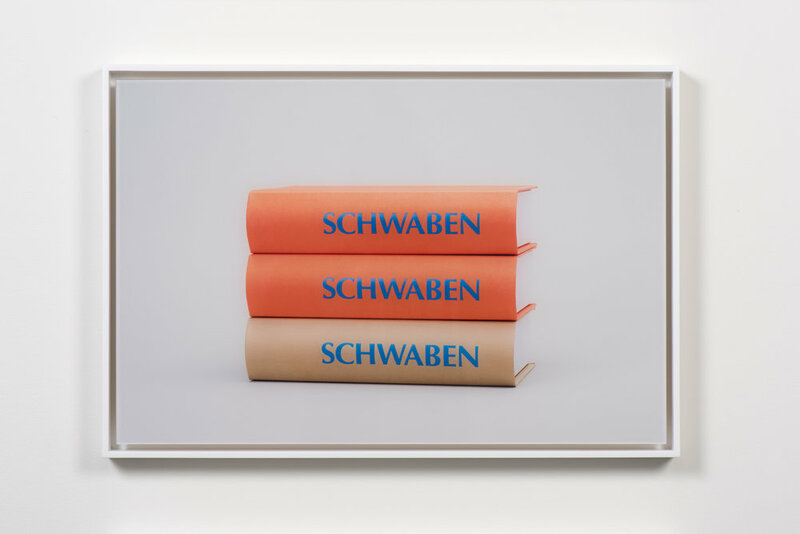 She was intrigued by them, particularly the carefully chosen colors and titles that “are ersatz and categorical, […] that dream of geographies and indicate sense of place, alternately obscure and exotic or nationalistic.”* Schoen asked the owner if they were available for purchase. He said no. Time spent with the objects inevitably led her to their maker; a man named Thomas Moser, who inherited a bookbindery from his father, near the Black Forest in Baden-Württemberg, Germany. Moser’s father was the first to automate the process of making book blanks, citing the lightweight material and compression in packing as a way to revolutionize his business model in the face of economic downturn. 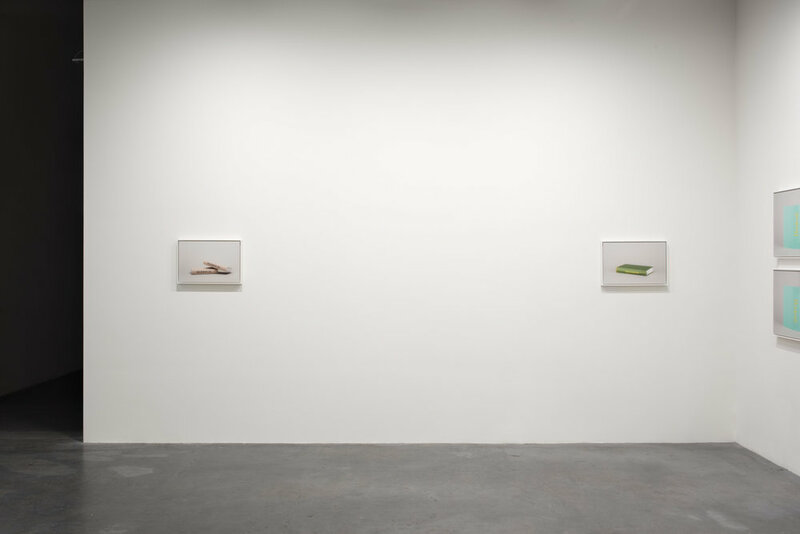 Moser, his factory, and the manufacture of his empty volumes comprise the starting point for Schoen’s video Hawaii (23), featured in the exhibition. The video morphs from a narrative, documentary structure into a more imagistic one, as Schoen incorporates the blank form of stock footage as a loose correlative to the titles. The mechanistic and repetitive sound of the presses slips into the sound of crickets, aquarium pumps, and windshield wipers. A red 3-D printed hand opens up into the Red Lion Amaryllis; pineapples fall. The exhibition also features the book Hawaii (160), published for the occasion, an Ikebana arrangement by Los Angeles Ikenobo Society chair Jose Salcedo, and sand. Kim Schoen (b. 1969, Princeton) lives and works in Los Angeles and Berlin. She received an MFA from CalArts in 2005, and a Master of Philosophy from the photography department at The Royal College of Art in London in 2008. She has exhibited her work internationally, at venues including the Los Angeles Museum of Art; LAXART in Los Angeles; The South London Gallery and MOT International Projects in London; the Maraya Art Centre in Sharjah; the Kunstverein Springhornhof in Neuenkirchen, Germany; and the MMoCA in Wisconsin. She is the co-founder of and co-editor of MATERIAL, a journal of writing by contemporary artists.